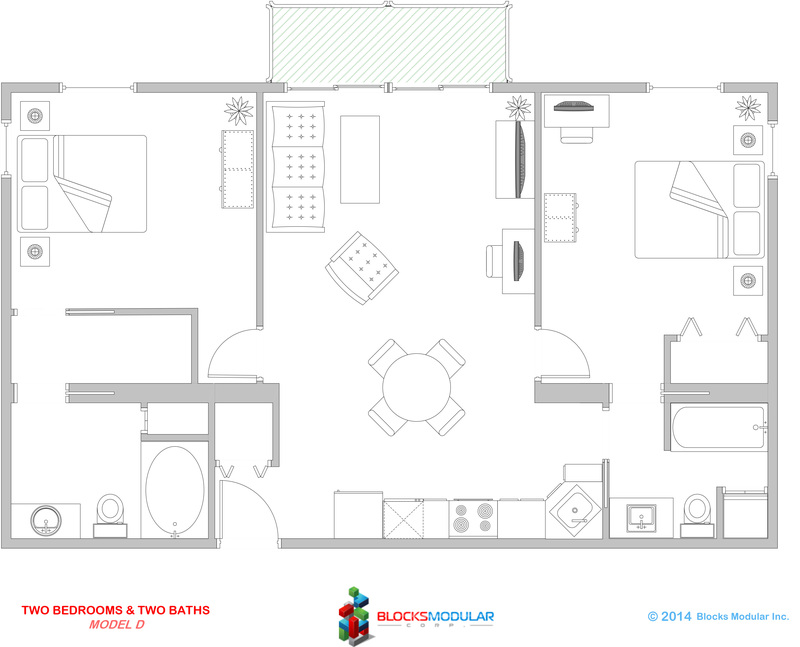 This two bedroom/bathroom model is perfect for a family with one or two young children searching for that first apartment. Model D allows for multiple functions. 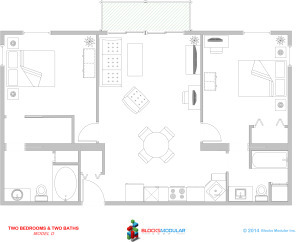 Great with families with kids, the module is equipped with a master bedroom with its own private bathroom. The second bathroom is accessible both by the kitchen and the second bedroom (through sliding doors). We recommend this product for those family oriented projects.